There is so much to see and do on a Disney Cruise Line vacation . . . so much in fact, that many amazing activities could easily be missed. My family and I recently returned from a quick, 3-night cruise to the Bahamas aboard the Disney Dream, just the break we needed from our hectic day-to-day schedule. Because we’ve sailed several times with Disney Cruise Line before, we decided to seek out some new activities this time around, and we were thrilled to find so many options our family had never experienced. 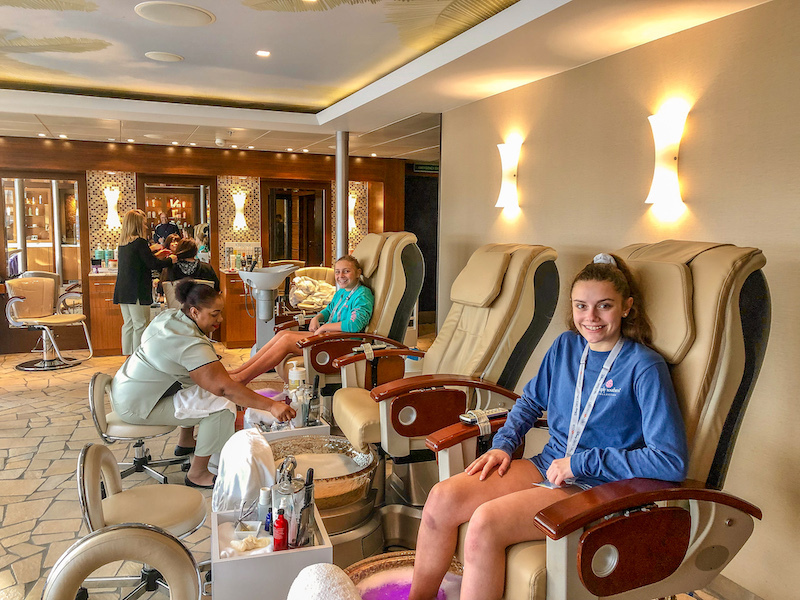 On our first day aboard the Dream, my girls and I headed to the Senses Spa to see if we could sign up for some of the activities offered to teens and tweens in Disney’s one-of-a-kind Chill Spa. Because Disney Cruise Line’s website states that the Chill Spa is reserved for teens ages 13 to 17, we were afraid that my youngest 11-year-old daughter wouldn’t be able to participate, but to our delight the spa was offering a special Sail Away mani/pedi experience for tweens and teens alike. That afternoon my husband and I dropped the girls off for their pampering and headed to the Adult Only sun deck for a little relaxation of our own. On our second day aboard, my older daughter and I signed up for the Mother/Daughter Massage at the Chill Spa. I was pleasantly surprised with the price of this experience given most treatments at the onboard spa tend to be a little steep. So for the two of us to enjoy a 50-minute massage in a treatment room looking out the front of the cruise ship for $195 was an amazing deal! As we entered the spa, I was escorted to the Ladies Locker Room to change and prepare for our treatment and my daughter was asked to wait in the relaxation room. When I was ready, our therapists escorted us both to our beautiful treatment suite where my daughter could change comfortably with just me in the room and then we had a few minutes to lie down and enjoy the gorgeous views of the harbor while we waited for our treatment to begin. 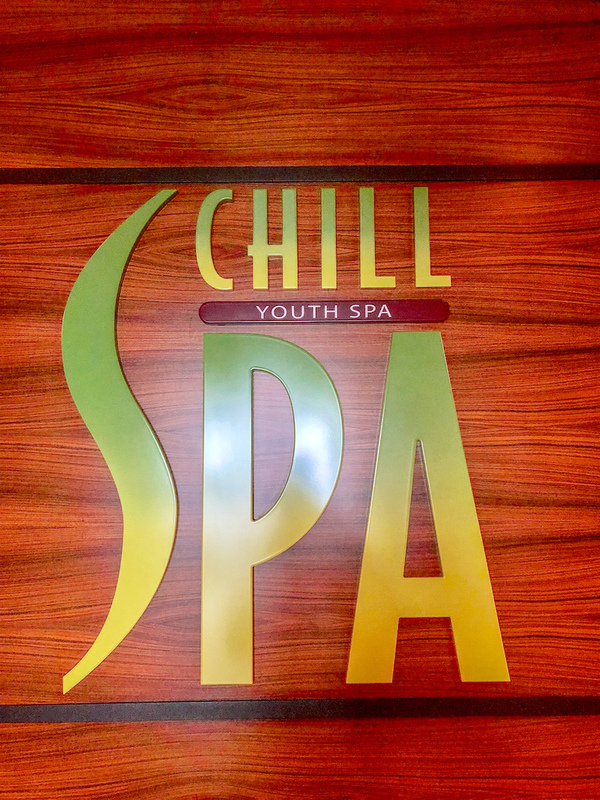 The massage was relaxing and indulgent, and I felt this was such a neat way to introduce my teenage daughter to the relaxation and fun of the spa while also enjoying special one-on-one time together. While relishing our time in the Chill Spa, my husband and younger daughter set off to check out the Goofy’s Sports Deck. With sports simulators, basketball courts, putt-putt golf, foosball and more . . . they felt they had more than enough to keep them entertained during our spa visit. Our family really enjoys the nightly live shows in the Walt Disney Theater, but for some reason we had never taken time to catch a movie while onboard the Disney Cruise ships. This year we decided to stay up late one night to see Mary Poppins Returns in the Buena Vista Theater. We were all pleasantly surprised at just how nice the theater was and it was great fun to catch the sequel to the Disney classic together as a family. These new experiences were such a delight and added so much to the onboard fun we’ve come to expect on every Disney Cruise vacation. 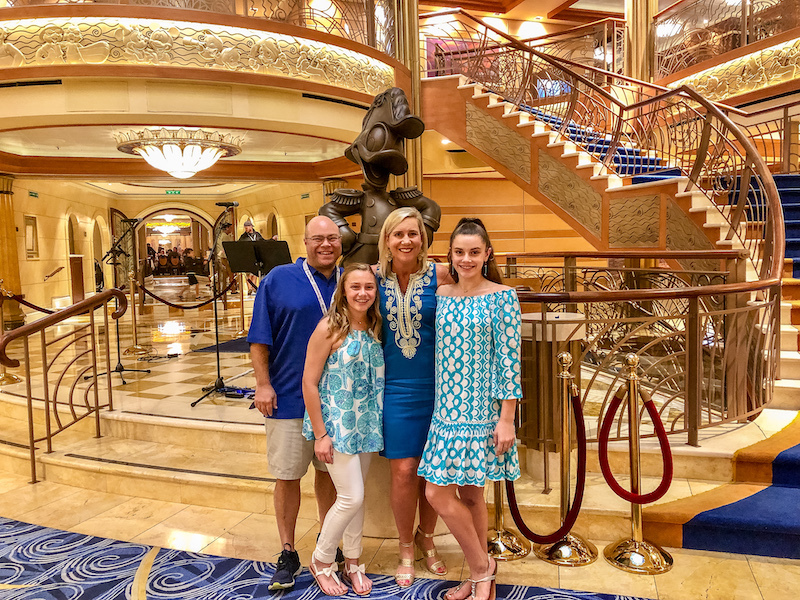 In a world where we are constantly overwhelmed by schedules, activities and constant connectivity, I believe that Disney Cruise Line does an amazing job of helping my family unplug from the world and reconnect with each other. Jennifer Kozlow is a Gold Key Advisor with Glass Slipper Concierge®, offering concierge-style service and meticulously-planned Disney vacations. These are great tips and definitely things I will check out on our cruise on the Dream in April. Have a great time and please let us know any new and different activities that you discover as well.